How to configure SimpleTelly on your Windows 10. 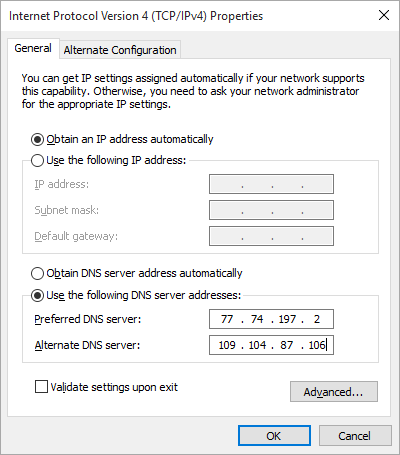 This page will guide you through the DNS setup process on a Windows 10 computer. 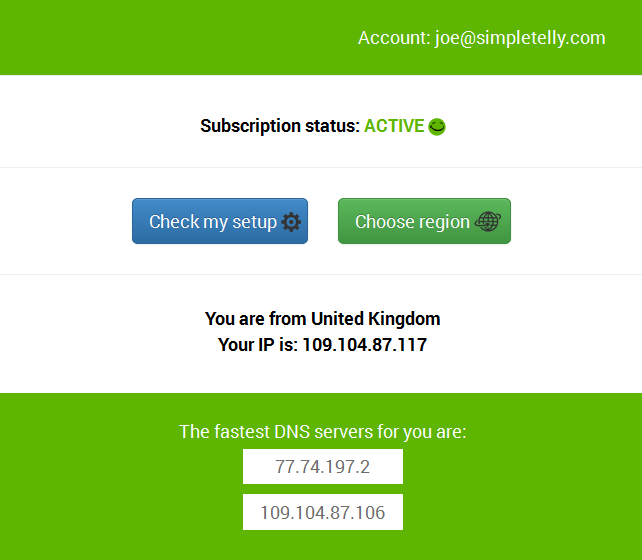 Login to our website, www.simpletelly.com from your computer and take note of the fastest DNS server address that appears on screen. 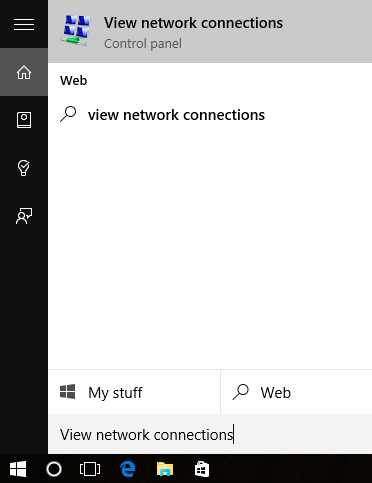 Open up the Cortana search window by pressing the (Win+Q) keys and search for ‘View Network Connections’. 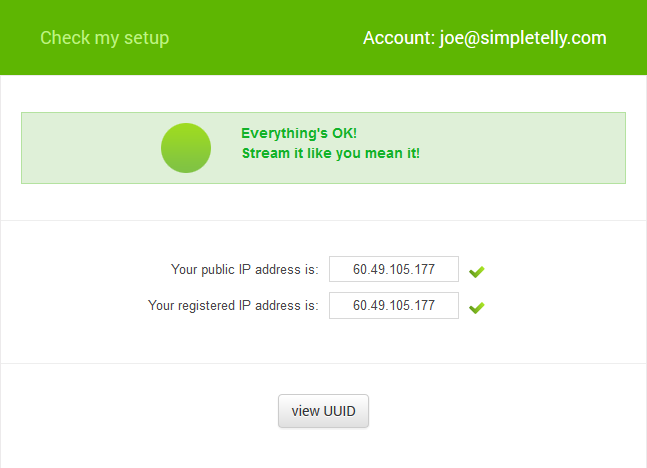 The View Network Connections options will be highlighted, select it. 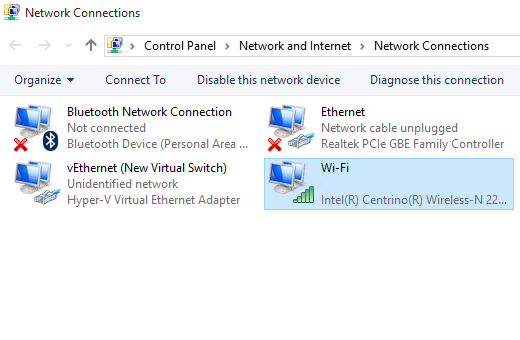 Right click on your active network adapter (Local Area Connection or Wireless Network Connection) and select Properties. 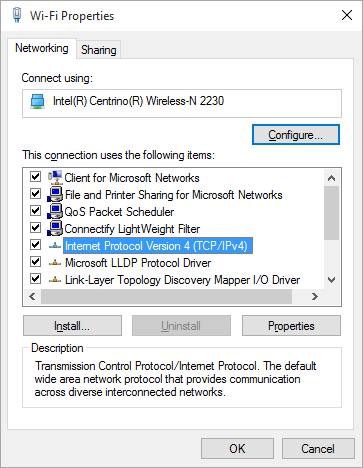 Double click on Internet Protocol Version 4 (TCP/IPv4) or alternatively, you can select this and click on Properties. In the General tab, click on ‘Use the following DNS server addresses‘ and , enter the DNS server addresses that appeared on your browser earlier. Once you have done that, go back to your account page and click on Check My Setup. 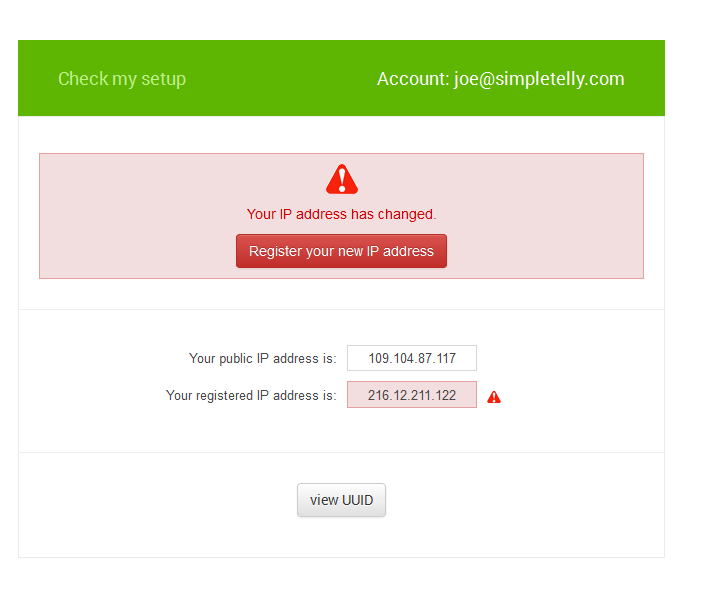 Click on Register your new IP address.